Did you find this blog because you are searching for information about well water systems? If so, you may be unsure of the benefits that such an investment can bring. In fact, setting up a well is one of the best decisions a homeowner can make. Here are the top three reasons to consider drilling a well on your property. How many had you considered? You may have heard that certain ‘bad’ areas exist where wells cannot be drilled. This is false. Well designed and constructed well water systems can provide consistent high quality water. Most systems use a process called well chlorination to kill bacteria. 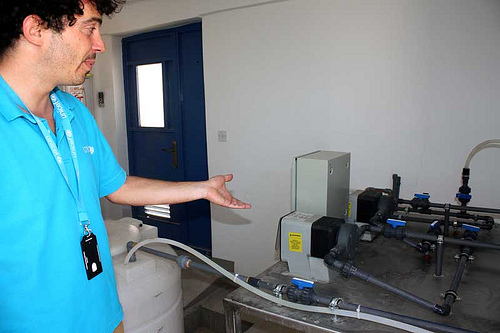 Homeowner use regular water analysis to ensure the quality of the water produced by the well. Water wells are one of the best investments any homeowner can make as they provide fresh, clean water with no added chemicals. Unlike tap water, well water contains no added fluoride and is incredibly pure and clean when filtered correctly. One of the best reasons to invest in a well on your property is that you can become fully self-sufficient for your water needs. While few homeowners actually disconnect from their mains water provider, this is a possibility. Most homes with water wells keep their mains water connected and use the well system to provide potable water. Some homes start to rely exclusively on the well system and use pressure tanks to store water. Whichever route you choose, you have to option to access fresh water at any time, even during hosepipe bans. This has far more benefits than simply allowing you to wash your car. As you can water the plants and flowers in your garden with your own water, you stand to save thousands of dollars not have to replace plants that die during droughts. According to one firm supplying well water filtration systems, investing in a well can increase the value of your home. Wells aren’t without their share of maintenance. The ongoing services of specialist well companies will be required to ensure that the water remains potable and that the equipment is in good working order. Periodic well water tests are required. Despite this, water wells are a sound investment that can be attractive to potential buyers. If and when you come to sell your home, listing a water well as a feature will be highly appealing to buyers. According to the National Ground Water Association, residential wells are a key attribute that attract many buyers. The value that well systems will add to your property far exceeds the initial cost of the equipment. These three reasons explain why setting up a well water system is one of the best decisions a homeowner can make. Wells give homeowners their own independent supply of clean water all year round and can boost the value of their homes. What do you think of the advice given in this article? Do you have a well? Let us know and leave us a comment below!